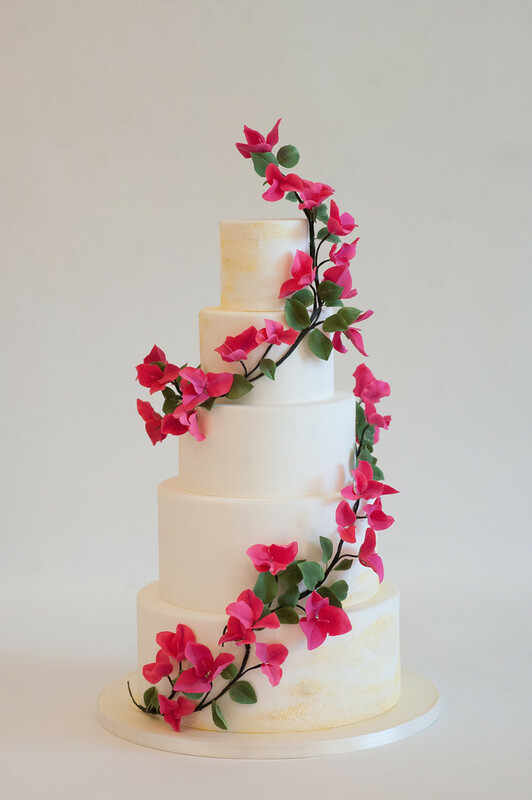 The spiraling, sugar bougainvillea vine wraps around this cake effortlessly creating a 360-degree view; there is no front to this cake design. 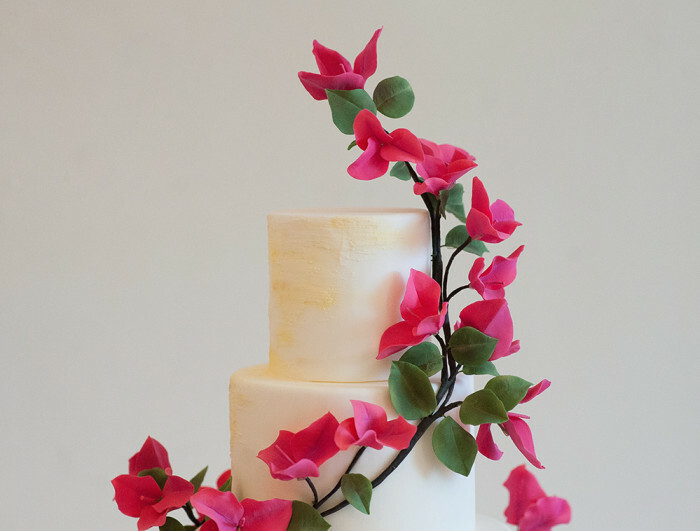 The cream and yellow rustic texture is the perfect accent next to the vibrant blooms and leaves. 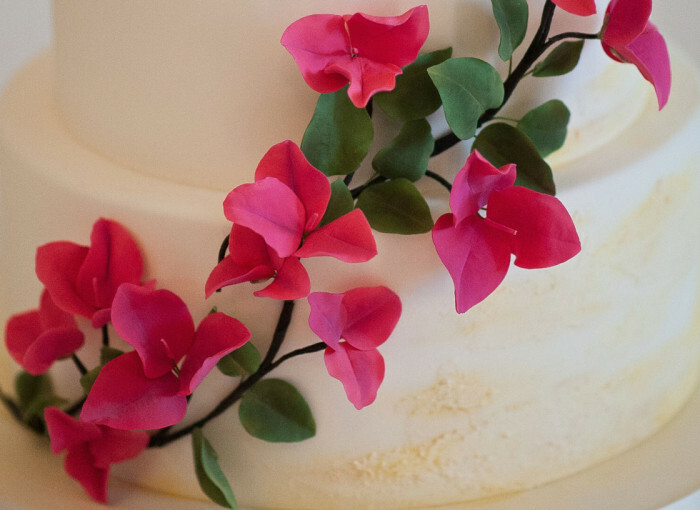 Allie is perfect for the Bride having an outdoor, colorful garden wedding.